Yard Sales Are More Popular Than Ever! 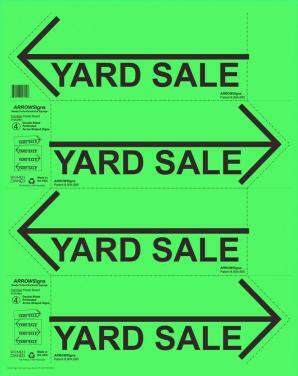 ​ARROWSigns ~ Ready-To-Go Directional Signage is the perfect solution to all the handmade, hard to read, yard sale / garage sale signs we see every weekend. 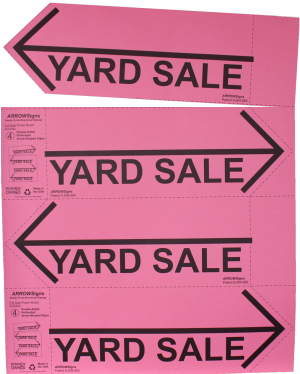 Our patented sign board is made of heavy weight poster board and has four tear-away, arrow shaped Yard Sale signs that are printed on both sides for multiple directions and multiple views. 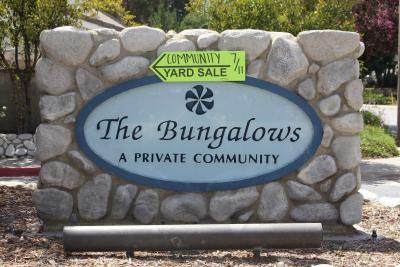 These DIY signs can be used as is, or you can hand write an address, date, sale items or whatever you choose to help advertise your sale. 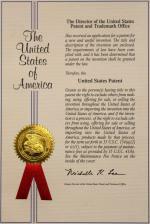 100% recyclable and 100% made in the USA!